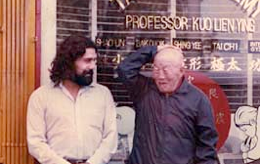 Center: Front, Dajia Wang Peisheng with Master Luo Shuhuan; standing behind them: Indor disciples Shifu Zhang Yun and Lu Shengli. I also include in my list for study the teachings of Yang Luchan (Yang Family Forty Chapters), Yang Yuting, Wang Peisheng and Feng Zhiquian. Although some of these Masters are considered contemporary their teachings and writings are just the natural growth and expansion of several centuries of study and evolution of this art. 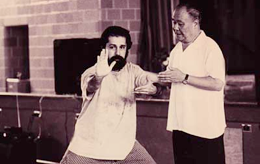 “As Tai Chi Chuan is quite complicated in its movement formation and demands a high degree of technical exactness and adaptability, and as the art emphasizes a gradual and natural development of subtle mind control, keen sensation and alert reaction, there is no short cut to the mastery of the art, and it is not advisable to design a quick learning course. My name is Horacio Lopez, NTS. This site is dedicated to the promotion of Classical T’ai Chi Ch’uan and related Chi Kung practices (Also spelled Taijiquan and Qigong); and with the integration of these Arts with cutting edge technologies in the fields of Neuromovement: Moshe Feldenkrais’ Awarenes through Movement, (Anat Baniel Method), Somatics and Alexander Technique. I teach classes on Northern -or Beijing- Wu Style Taijiquan. My lineage is from the Yin Cheng Gong Fa Door. My teacher is Shifu Zhang Yun, a disciple of Grand Master Wang Peisheng, and Luo Shuhuan. 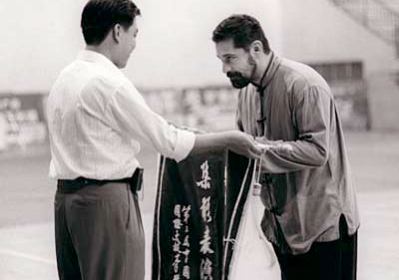 I created the first Yang Chengfu T’ai Chi Ch’uan Center in the USA in 1995. 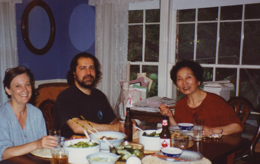 I served between 2000 - 2005 as Director of the Department of Ranking Standards and Coaching of the International Yang Family T’ai Chi Ch’uan Association. T’ai Chi Ch’uan’s translated name - Balanced Fist - relates to the harmonious balancing of Yin/Yang energies in the body through Movement , Attention and Awareness. This School is an invitation to investigate Movement and Awareness and their relationship to Perception, Thought, Attention, Insight, and Consciousness, and how these core topics can advance individual development of alertness, clarity of thought, grace in movement, Health and Wholeness.